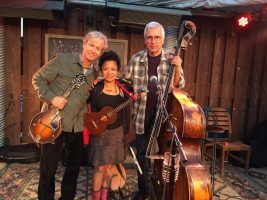 Aireene Espiritu is a singer/songwriter with over 20 years experience performing original music covering various genres, from folk, blues, gospel, rhythm and blues to world music – a mix of stompin’, swayin’, and timeless Americana. Mainly influenced by listening to Alan Lomax’s field recordings from the South and growing up listening to her uncles’ Filipino folk guitar fingerpicking, her music is reminiscent of front porch storytelling, of ghosts and the living, times of laughter and tears. She tours solo as well as with her band as Aireene & The Itch.